Join us for a christmas tipple while residents present a brief overview of their eclectic thoughts and outputs. Shane Finan is a visual artist working in painting, installation and interactive media. He takes art seriously so he doesn’t have to take life seriously. 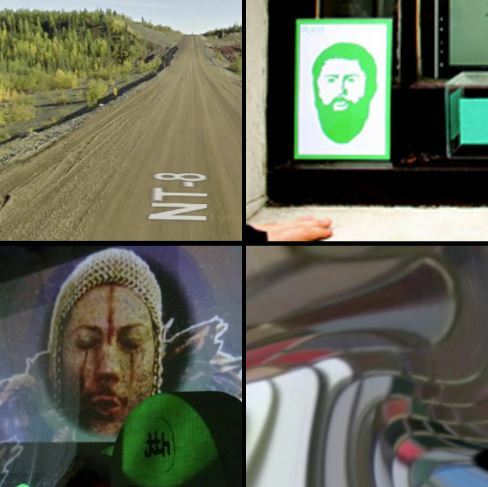 Will McConnell is a visual artist working in video, the majority of which is re-appropriated from Google and YouTube. His focus is on the relationship between technology & the human experience, daydreaming, space (physical & virtual), out-of-body experiences and states of being. Dan Moxham is a multimedia artist working mostly with sound and video. He is interested in lo-fi techniques and processes, making short B-movie styled films, music videos and pseudo-advertisements. Kathleen O’Leary’s multidisciplinary practice involves creating and developing a particular goal towards inclusion and participation within an artistic and research context.